Context From James’ Journey: In the novel that is being presented throughout this week through several informative blog posts of this sort, I will be trying to present the relevant historical background on a number of noteworthy issues brought up within the story, as they concern several interesting fragments from American History. 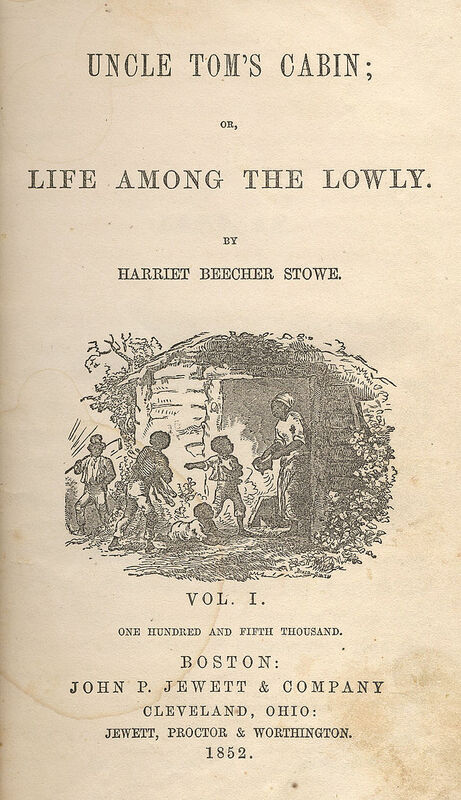 Within the story, the infamous American romanticist novel, the divergent reactions to the Harriet Beecher Stowe novel Uncle Tom’s Cabin helps describe the fomented antipathy that the divided nation of the time, both North and South, felt about one another about the hot topic of the time, slavery. In the North, people were already, by this time, feeling greatly impassioned about the perceived injustices of the enslavement of a whole race of human beings, while the South felt that they were entitled to preserve this “barbaric” practice for economic purposes. In James Journey, the novel at the core of the week-long blog tour on both here and A Bibliophile’s Workshop, Jame’s own ambivalent feelings about the whole issue of slavery, which progressively changes throughout the course of the novel, best represents the wide spectrum of different approaches to the issue. And the way the way these two divisions of the nation felt about one another, particularly the issue of slavery, is clearly represented by the differing reactions to the divisive abolitionist novel Uncle Tom’s Cabin.. In the book, James originally feels doubtful about the veracity of the wild claims of this book, reflecting his own conditioned sentiments about the slavery issue. Being raised on a plantation in Virginia, James’ whole world included an unquestioning, glib stance on the morality of the issue of slavery. The very notion of even questioning whether or not enslaving a whole race of human beings, for purely avaricious, economic reasons, never occurred to him. The reactionary way that people from the South reacted to Uncle Tom’s Cabin, a story that served as a crystal-clear indictment of the issue of slavery, reveals the pernicious way that a person’s geographic-based bias has a heavy-duty influence on our own perceptions. James’ initial hostility towards the abolitionist cause is symbolized by the gut-reaction of disgust, anger, and short-temper (all those things you are confronted with, when dealing w/ a rigid,neurotic belief). 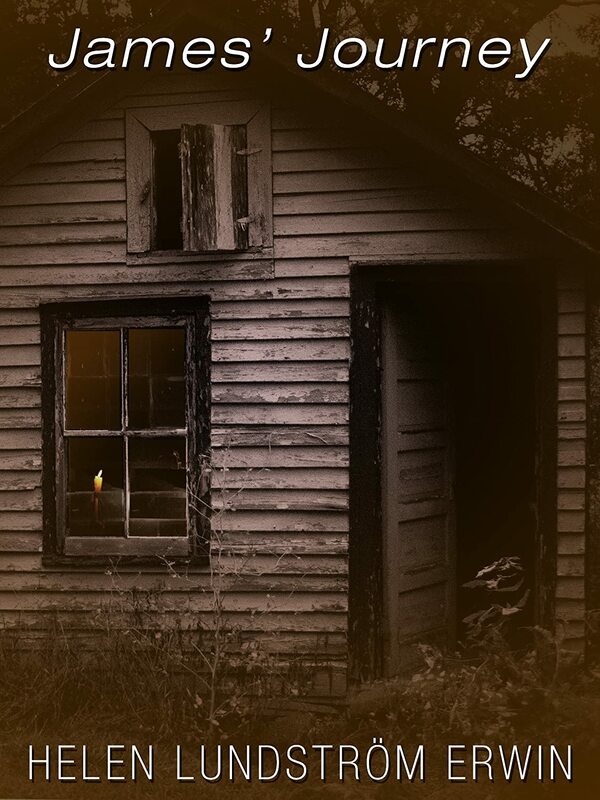 Of course, the important thing to note that James’ own journey towards meditating on the issue, and carefully consider it more, mirrors the way that some were greatly altered by their reading of the novel Uncle Tom’s Cabin. Yes, the novel famously does present a fairly moral extreme of the barbarity of slavery, yet the bombastic, dramatic elements of the novel’s various elements, were very much a stylistic choice that was employed by many writers at the time, including Charles Dickens from England. While James’ own family were fairly kind and good-tempered with their own slaves, James start to realize his family’s humane treatment of their slaves is actually very uncommon, whereas denigrating treatment of slaves was far more rife among many plantations in the South. In some ways, the means by which Uncle Tom’s Cabin expressed the moral extremes of slavery gone awry was a purposeful artistic tool, which allowed Harriet Beecher Stowe to really make a story that was more strongly impacting to the general reader, as a result. James’ Journey serves as a strong, enduring reminder of the abolitionist spirit of the story that cannot be forgotten. We have a very anachronistic attitude towards this work. Of course, it is only inevitable that our modern sentiments have a way of undermining the significance some novels had in a particular time. We really have to do ourselves a favor by being disinterested observers of past parts of history, and piecing together the story that the confluence of facts weave for us. And the facts clearly show that even with the rather antiquated, caricature-like stereotypes of black characters in the novel, along with outdated views on the domestic duties of women, this novel still presented more radical, even progressive views of both women and African-Americans at a time, when these characters were relegated to fringes of even fictionalized permutations of society. Some saw that Stowe’s strong attitudes about slavery being a moral evil were bordering on the puritanical, yet Stowe’s Christianity was no different than the Quakers at the time, or any group that become heavily involved with the abolitionist cause. On a Wednesday post, I will be talking more in-depth about how the political/ethical split in Christianity that occurs today, between the Progressive Church (the abolitionists of the 19th century), and the Fundamentalist/Evangelical Church (like the Southern Baptist Church, the advocates for the preservation of slavery at the time) really was a split that was forming about the time that some more progressive-minded Christians, including Harriet Beecher Stowe, were becoming more and more convinced that slavery was a moral anathema. It is actually part of Stowe’s genius to have written a novel that was written to appeal to the childlike grasp of “morality.” As children, the simplest moral that we are taught is that of the Golden Rule, and sometimes it is the turbulent world of the adults that have trouble incorporating this rule into their lives. Their souls themselves quickly become enfeebled by greed, and the reason for slavery’s obstinate existence in the South was for economic reasons, and the church at the time created certain dogma to further cement these rules in stone, perceiving even the almighty as being in favor of such a repugnant thing like slavery. Today, not many students read Uncle Tom’s Cabin, something that makes sense because we are more vigilant, and perhaps too careful, about not exposing our kids to ugly, odious stereotypes, or a book filled to the brim of them. But maybe we should be placing this work back into classrooms, if only to hiding the horrific legacy of slavery under translucent plastic wrap, where only the things we contrive to allow students to see, only the very superficial, palatable elements of a parts of history. In Texas and other areas, this bowdlerization of history goes even further than that where the perspectives of significant figures from minority groups in society are being wiped away. Just as much as many people today know nothing about the legacy of Uncle Tom’s Cabin, some future generations, in areas like Texas, may never know about the bravery of Harriet Tubman, or the incisive, though powerful slave narrative by former slave Frederick Douglas. These texts will be lost in the morass of the cloying reconstruction of Texas textbooks and “ideologically-pure” textbooks. Both the Fundamentalists and the frantic Political-Correct groups have done much damage to the absolute, essential teaching of critical thinking about paramount issues of slavery. While it is understandable, we fear that the outdated stereotypes of black characters in Uncle Tom’s Cabin might make it irrelevant, we are also neglecting the powerful role it play in invigorating the abolitionist cause in our country. Henry Louis Gate Jr. recently helped with rehabilitating the text from the many negative stereotypes that are burying in the pits of obscurity, by writing a new annotated version that “marks a serious attempt to resurrect it as both a central document in American race relations and a significant moral and political exploration of the character of those relations.” (From NY Times piece, about new annotated edition of Uncle Tom’s Cabin). From a Thomas Hardy novel with somewhat problematic portrayals of female characters, or Shakespeare plays with facile Jew characters, burying a book from the conscious minds of modern audiences does nothing to improve society as a whole. The goal here is to equip people with strong, capable minds, with the discerning ability to grasp different perspectives of a different historical period, while helping to train the modern mind with a far more sharpened, complex, but strongly ethical view of the world and society they occupy. Uncle Tom’s Cabin may seem like an amateur, out-of-date book for us, but so are many books from the past, but we cannot forget its legacy, and the dynamic role it played in really helping popularize the abolitionist cause. Tomorrow, I’ll be discussing more in-depth about the history of the Underground Railroad, one of the most heroic, moral efforts in our history, which sometimes gets forgotten in the militaristic/violence-obsessed culture we live in. Sometimes, we forget that the real heroic deeds are sometimes counter-cultural, ethical and strongly pacifistic. I haven’t read the book myself, but might need to after reading this fantastic book about a fascinating, but troubling time in our nation’s history. Thanks for leaving this comment by the way, and yes, it’s a tricky issue to comb through, but it was interesting to write and read about for all these blog tour posts. And I have read one Toni Morrison book in my undergrad years. I loved it, poetic, dark, but so well-written. It was called “Blue Eye,” I believe. I have “Beloved, might need to read that soon. Given your article and obvious interest in the subject of slavery, I would suggest you must… But be warned, it is beautifully written and VERY dark.